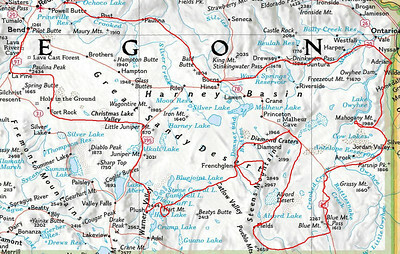 Here is a quick highlight of our core route. 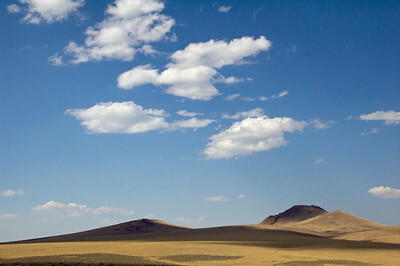 After driving from Seattle, we departed on Sunday, 8/3, from Bend, turning off-road at Pauline Peak. 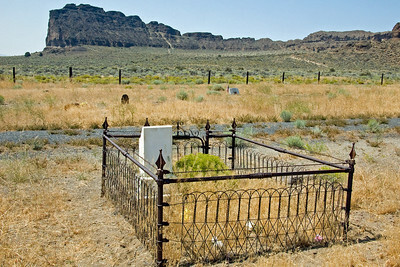 Our last day of exploring was Friday, 8/8, arriving in Prineville. 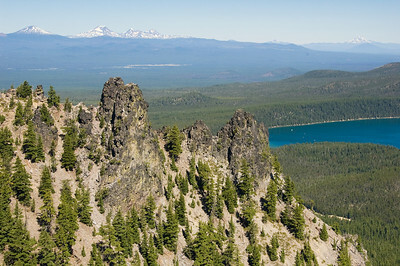 Here is the view from Paulina Peak, looking back toward Bachelor and some of the other volcanic peaks. 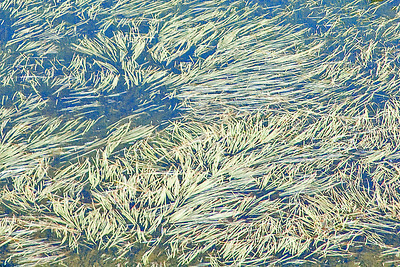 Wierdly flattened water weeds at the obsidian flow in Paulina National Monument. 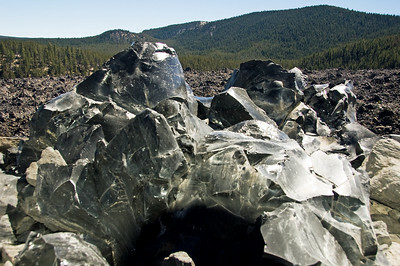 Big 'ol chunk of obsidian. 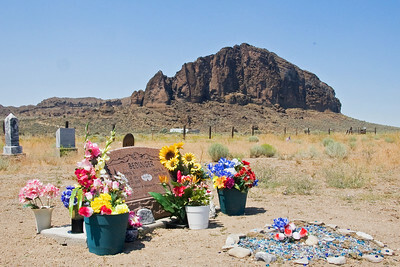 Driving south from Paulina to Fort Rock. 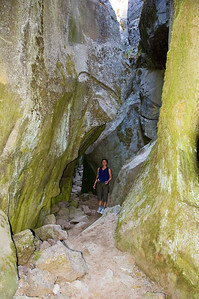 "Crack in the Ground" -- a slot canyon outside of Christmas valley. 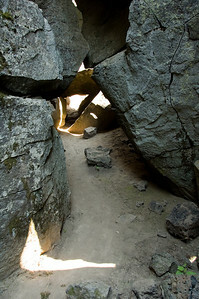 It was caused by the collapse of a lava tube. 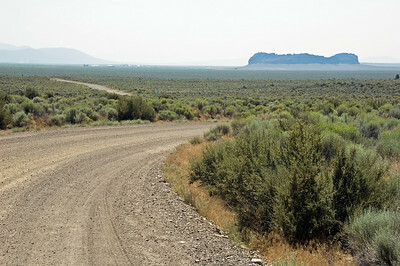 Hogback road from highway 395 over to the Warner Valley and Hart Mountain. 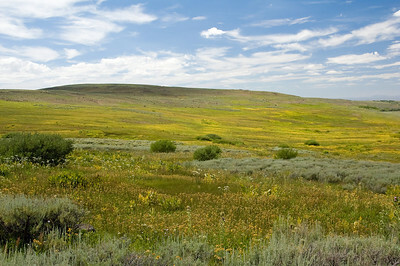 The Warner valley from the Hart Mountain grade. 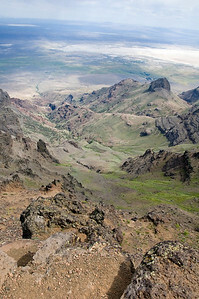 A hike in Hart Mountain Antelope Reserve. 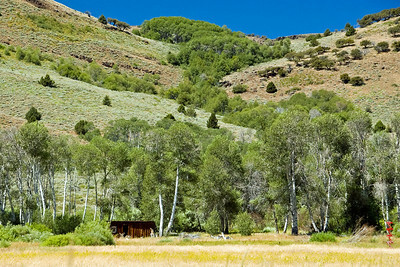 A very remote cabin in the reserve. 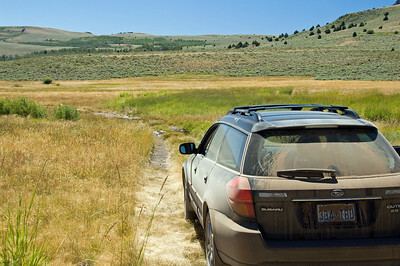 The off-road Suburu on a very long and rough back road in the reserve. 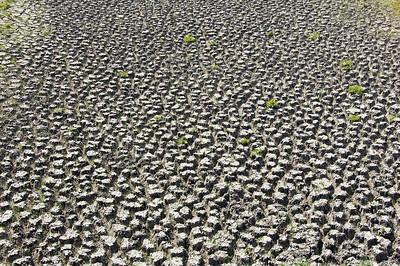 Rose after one of our hikes. 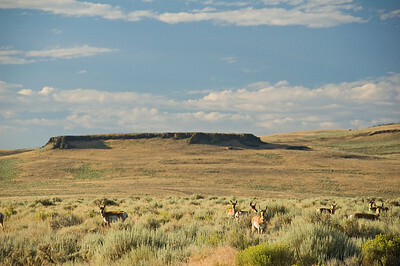 Early morning in the Antelope reserve. Daybreak shot back over the Warner Valley. 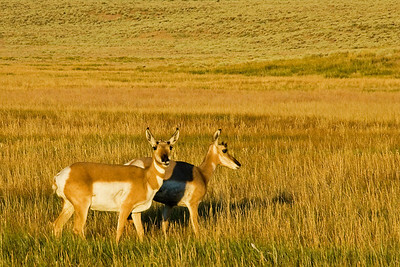 More antelope herds in the early am. 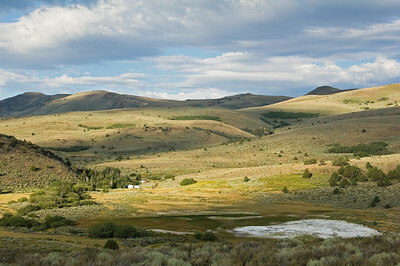 The Hart Mountain Hot Springs camp ground at daybreak. 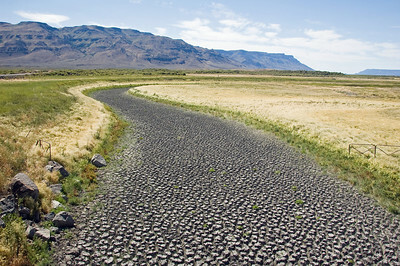 A dry river bed in the Warner valley. 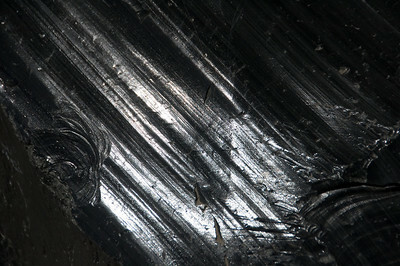 Each of the scales is about 10 inches across and about 10 inches high. 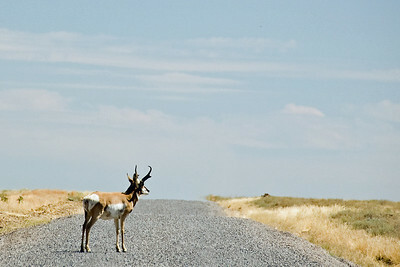 On the road between Hart Mountain and Frenchglen. 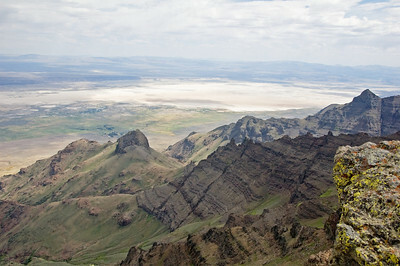 The road to the top of the Steens. 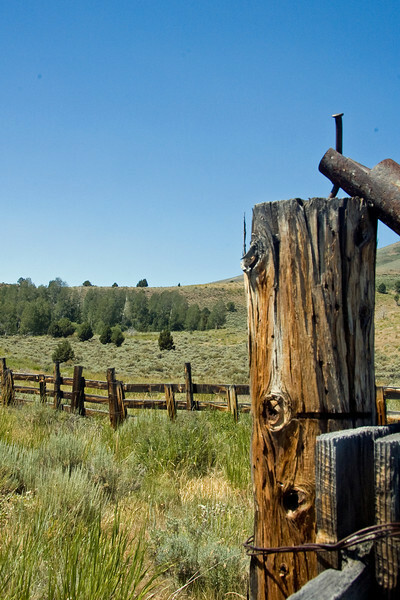 Spring comes late at 9000 feet. 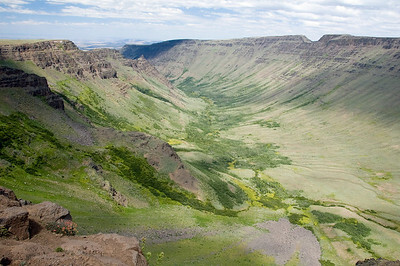 Kiger gorge in the Steens. 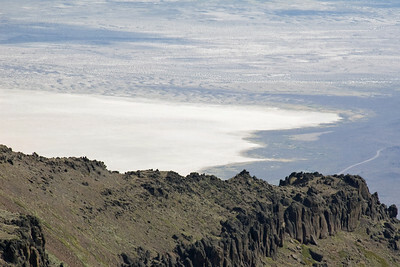 The Alvord desert from the top of the Steens (9700 feet). 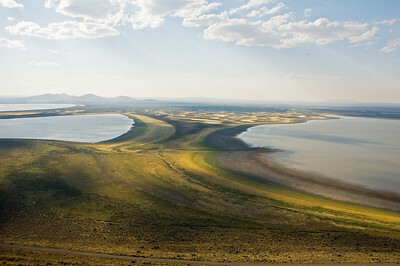 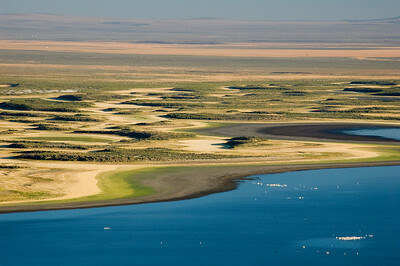 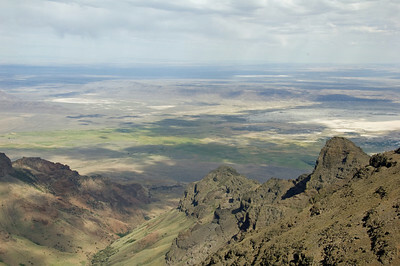 A razor ridge on the east Steens with the Alvord desert below.